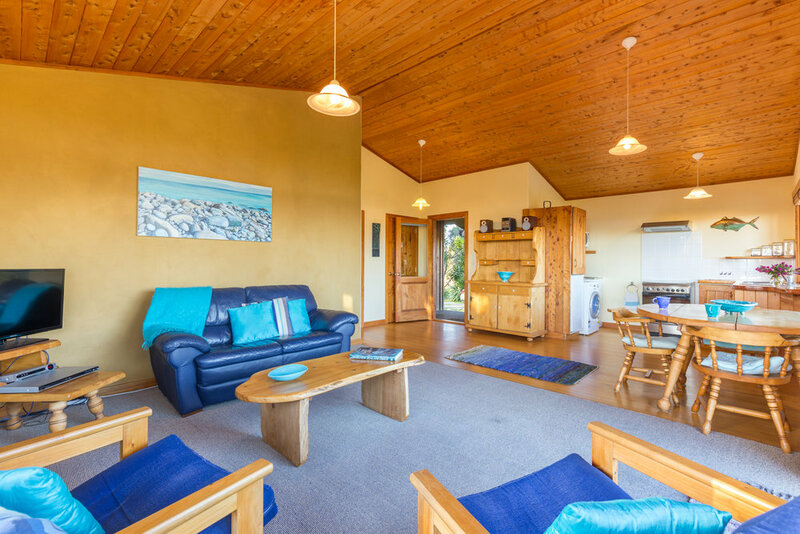 Welcome to our beautifully appointed self-contained luxury cottage, designed and constructed in environmentally friendly materials. 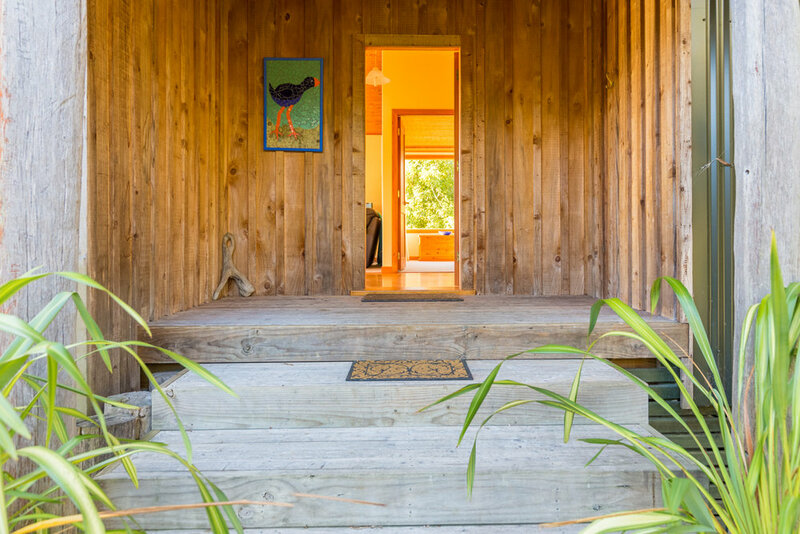 Situated on what is technically an island on the edge of the Waimea Estuary, and only 20 minutes drive from Nelson city and Motueka.Owned and operated by your New Zealand hosts, Belinda Heaphy and Graham Postles. Spacious sunny open plan lounge -dining room, twenty metres from the waters edge. The bedroom has an extremely comfortable high quality King sized bed with relaxing views over the water . High thread count pure cotton linen with feather duvet. Laundry facilities with a washing machine, iron and ironing board. TV, CD and DVD player. Large sunny decks with very private BBQ area. High quality bathroom fittings including hair dryer and separate toilet. Gorgeous outside bath set in a separate deck. Great for star watching! Soft furnishing are all from natural materials such as cottons, leather, silk, linen and wool which compliment the natural rich timbers. We provide free quality bikes on request. (Conditions apply). We have new bikes especially suited for the Great Taste Trail that is on our doorstep. You are welcome to stroll around our 14 acre property whilst experiencing the stunning ever-changing vista. 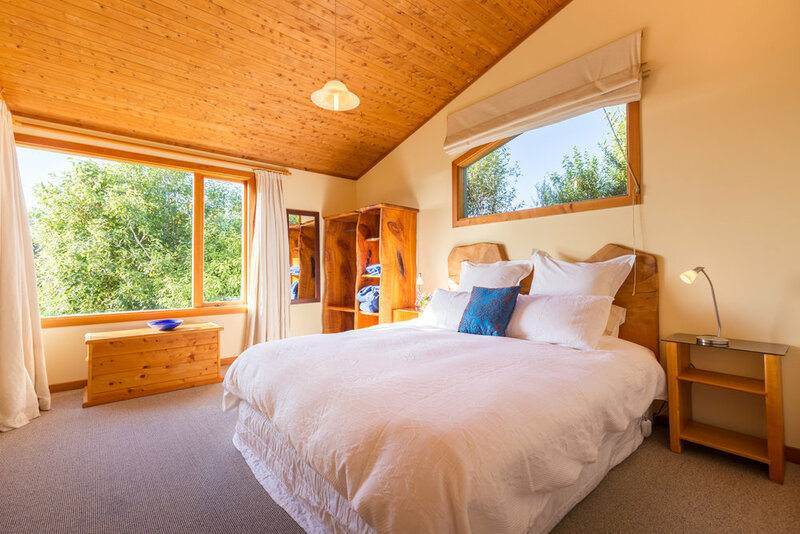 Manuka Island has spectacular views, great bird watching, and a relaxing atmosphere in a very tranquil private setting. Tariff per night for Eco-Cottage. NZ$200 to $240.00 per night for two people. Minimium stay two nights. Long term and off season rates available April to September. Discount for returning guests. To secure your booking you will need to pay a deposit equivalent to one nights stay. 275 Redwood Road, Appleby Nelson New Zealand.